So Marine Instant Wild is underway and one of the first things to do was source an underwater enclosure, we could have purchased one which would have had to have been fabricated and would have cost a small fortune but we thought we would reach out to the community and Reading Hackspace stood up – so we decided to build our own! Ryan White who builds underwater systems that reach depths of 6000 meters for a living offered his help right through design stage to prototype production. 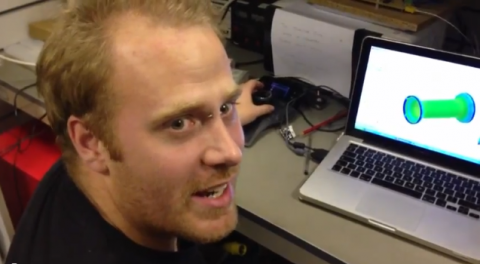 Here’s a quick intro from Ryan at the HackSpace. RCUK – Using marine microprocessor technologies and environmental sensors to investigate environmental spawning cues of scleractinian corals in captivity.